Our primary objective was to measure root canal penetrations of aqueous antibacterial nano-chitosan (Nano-CS), for the first time. The second objective was to compare and contrast such penetrations to those of chitosan (CS) itself, as well as sodium hypochlorite (NaOCl), chlorhexidine (CHX) and ethylenediamintetraacetic acid (EDTA), at the routinely used concentrations. Molar roots were split longitudinally by a rotary diamond saw. Nano-CS was made by dissolving CS in acetic acid and adding tripolyphosphate (TPP), followed by a freeze-drying process. Dentin penetrations are estimated through measurements of sessile contact angles. Penetrations of the probed irrigants were assessed as inverse functions of their sessile contact angles. Accordingly, all Nano-CS solutions showed smaller sessile angles compared to those of NaOCl, CS, and EDTA samples. Hence, Nano-CS appeared to be a superior irrigant for demonstrating a higher penetration than the latter three. It fell only behind CHX, yet, the superb chelating ability of Nano-CS enabled it to remove smear layer to a larger extend than all of our other irrigants including CHX. Nano-CS could be considered as a new irrigant. Higher penetration was its main advantage over CS, and commercial NaOCl, and EDTA. This was verified by the smaller sessile contact angle of Nano-CS. Anticipated chelating effect of Nano-CS could anchor more efficient removal of smear layer. This was another advantage of Nano-CS over other irrigants including CHX. Other advantages of Nano-CS included its reported biocompatibility, biodegradability and antibacterial effects. 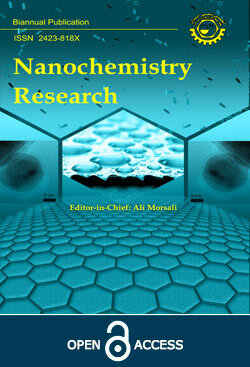 Commercialization of Nano-CS was deemed in the near horizon. Irrigation has a central role in endodontic treatment. Irrigants are basically chemical solutions which are used to clean and disinfect the complex root canal system three dimensionally. This is prior to filling and sealing the canal completely . Irrigants often prevent packing of the hard and soft tissue in the apical root canal. They assist in extrusion of infected material into the periapical area. Some irrigating solutions dissolve either organic or inorganic tissue in the root canal . Important requirements of an endodontic irrigant include properties such as antimicrobial activity, tissue dissolving capability, and nontoxicity to the periapical tissues . Microbial infection of the pulp, leading subsequently to endodontic treatment, is frequently the consequence of dental caries, mechanical injury, or canal micro leakage. The success of endodontic therapy depends on eliminating or reducing these microorganisms . NaOCl is an irrigant solution which is known to many root canal patients for its bitter taste. Surprisingly, this toxic irrigant is still widely used for disinfecting root canals during endodontic therapy in most parts of the world. It is usually employed at 0.5-6.0% concentrations. NaOCl is mostly used for its excellent tissue-dissolving [5-7] and antimicrobial properties [5,8,9]. Nevertheless, it has many problems. For a proper antimicrobial activity, NaOCl must be prepared freshly just before its use [10,11]. In majority of cases, however, it is purchased in large containers and stored at room temperature while being exposed to oxygen for extended periods of time. Exposure of NaOCl solution to oxygen, at room temperature under light can inactivate it significantly . On the other hand, extrusion of NaOCl into periapical tissues can cause severe injury to the patient [12,13]. An alternative irrigant solution is CHX which has been used for the past 50 years for caries prevention , in periodontal therapy and as an oral antiseptic mouthwash . It has a broad-spectrum antibacterial action, sustained action and lower toxicity than NaOCl . Because of these properties, it is sometimes used as a root canal irrigant [14,16]. The major advantages of chlorhexidine over NaOCl are its lower cytotoxicity and lack of foul smell and bad taste. In addition, like NaOCl, it is unable to kill all bacteria and cannot remove the smear layer [17,18]. Another irrigant solution is EDTA. It is a good chelating agent and is used for removal of the inorganic portion of the smear layer  undesirably, its longer exposures can cause excessive removal of both peritubular and intratubular dentin  even worse, EDTA has little or no antibacterial effect  Many reports have shown that chitosan and chitosan derivative materials have good biocompatibility [22-26]. Seung-Yun Shin and his group showed that chitosan also has a good biocompatibility on a nanometer scale [27,28]. Conversely, studies have shown varying antimicrobial activity of chitosan against Gram-positive and Gram-negative bacteria . Chitosan advantages include antibacterial effect, biocompatibility, nontoxicity, biodegradability and chelating potential. Yet, its penetration falls behind CHX, and compared to other irrigants it is not equally effective at low concentrations. Nano-sized composites (nanoparticles, nanomaterials) are anticipated to be more effective in penetrating and disrupting bacterial cell membranes [30,31-34]. Hence, Nano-CS is expected to be more effective against a variety of organisms. It is introduced as a new irrigant and its penetration is compared to those of NaOCl, CHX, EDTA and CS. 0.5 g of CS (molecular weight: 100,000-300,000) was dissolved in 1000 ml of 2% acetic acid and stirred for 30 min. Subsequently, 100 ml of this solution was added to 40 ml of tripolyphosphate (TPP), stirred for 2 h at ambient temperature, and then centrifuged at high speed. The isolated Nano-CS was rinsed with distilled water and freeze-dried . Antibacterial studies of Nano-CS against the Enterococcus faecium shows 53.14% average antibacterial potency in 15 min (Supplementary Information) . To a stirring 50 ml distilled water was added 50 mg CS. Acetic acid (2% v/v) was then added drop-wise till all CS dissolved. From this, other aqueous solutions containing different CS concentrations were prepared: 0.2%, 0.5%, 1.25%, 2.0%, 2.5%, 3.75%, 5.25%, 6.0% and 17.0 % (wt/wt). Following the above procedure, nano-chitosan (Nano-CS) solutions were also prepared. In addition sodium hypochlorite solutions (0.5-6.0%, wt/wt) were prepared immediately before the use by diluting a 6.0% stock solution (EMD Chemicals Inc.) with distilled water. Three endodontic irrigant solutions were purchased including 0.2% CHX (BP Lot 15243, Willer-PCCA London, ON), 2.0% CHX (BP Lot 15243, Willer-PCCA London, ON), and 17.0% EDTA (VISTA DENTAL PRODUCTS). Furthermore, freshly produced MilliQ water (distilled water) was employed as a control liquid. Fig. 1. (A and B) The projected Image J contact angle, (C) The projected AutoCAD contact angle. Extracted adult human maxillary molar was used to prepare the dentin surfaces for contact angle measurements . Tooth was extracted for periodontics or orthodontic purposes and did not present caries or restorations. After cutting off the crown and apical third of the root, the remaining root was polished using a series of abrasive papers in the following sequence: 120/P120, 180/P180, 240/P280, 320/P400, 400/P800 and 600/P1200. Cut and polished surface was cold sample mounted (embedded) with 3 component araldite resin and then was polished again with rough SiC sandpaper in following sequence: 320, 400, 600, 800, 1000, 1200, 1500, 2000, 2500 and 4000. Finally it was felted with ¼ µ diamond and 0.05 micron Al2O3 suspension. A 1.00-µl droplet of each solution was placed on coronal root dentin using a 10-µl sampler. The contact angle was measured by using engineered set up containing FUJIFILM camera maker, FinePix E610 camera model and 35mm focal length and also 45mm focal length lens. All the contact angles were determined with Image J and AutoCAD 2014. Contact angle measurements showed that there are not many differences between wettability of NaOCl, CS and Nano-CS, hence Nano-CS had small contact angles and also more penetration than the others (Table 1). The highest contact angle was observed for MilliQ water with 72.00° sessile contact angle as a control group. CHX solutions immediately spread on the dentin surface, yielding under 30° contact angles and made an obvious difference between this tested liquid and CS and Nano-CS (Table 1). Wettability comparison of EDTA, CS and Nano-CS also showed that there is a small difference between EDTA and CS in the same concentration, however Nano-CS was more permeable than both EDTA and CS with the measuring sessile contact angle value: 43.77° (Table 1). Fig. 2. Comparative wettability of Nano-CS, CS and (A) NaOCl, (B) CHX, (C) EDTA. CS shows remarkable chelating capacity for different metal ions, justifying its use in various sectors of industry . Studies have shown the importance of using EDTA for the removal of the inorganic components of the smear layer . However, despite being efficient in removing the smear layer, EDTA has an erosive effect on dentin  and attacks the periapical tissues  in addition to being considered an environmental pollutant . To deal with organic structures, previous studies have sought for weaker and more biocompatible acids than EDTA [41,42]. CS is a natural polysaccharide, biodegradable, biocompatible with human cells  and with a high chelating capacity . This result suggests the use of chitosan as a possible alternative to replace EDTA. CS, even at the lowest concentration, was capable of adequately removing the smear layer from the dentin surface causing little erosion of dentin. Wettability is one of the most important physicochemical properties of a root canal irrigant. Contact angle measurements determine the wettability of the substratum. Low contact angles are an indication of good wetting, whereas high contact angles indicate poor wetting [44,45]. With the improvement of wettability, it is also possible that the irrigant could extend its solvent capability, and also optimize its bactericidal ability through a better penetration into the non-instrumented areas of the root canal system . It is reported that the contact between dentin and an irrigant depends on the wettability of the irrigant over the dentin surface in the root canal. Because spreading of the irrigant is thought to be directly related to its wetting properties, it may provide a good index to assess the irrigation efficiency in the root canal . The contact angle measurement on biological surfaces is usually difficult due to substrate hydration, porosity and heterogeneity. Dentin is a complex, heterogeneous and intrinsically wet organic tissue, composed by 50 vol% mineral, 30 vol% organic material and 20 vol% fluid . Besides its complex composition, dentin is penetrated by a tubular labyrinth containing odontoblastic cells . The tubule lumen is lined by the peritubular dentin, which is highly mineralized. The tubules and peritubular dentin are separated by intertubular dentin. Dentin is hydrated in the vital state due to the pulp tissue pressure, estimated to be approximately 15 cm H2O , which causes an outward flow of dentinal fluid. When dentin is instrumented or grounded, a thin layer of debris, called smear layer, partially covers the surface, occluding the dentin tubules . The contact angle as a thermodynamic equilibrium property of a liquid on a solid immersed in a fluid is unique only for inert, no wetting liquids on ideal solids, for example, on smooth, homogeneous, inert, and nonporous surfaces [52,53]. The ‘‘sessile’’ contact angle is the contact angle detected by simply placing a drop on a surface. Generally, the observed contact angle contains a contribution from surface chemistry and a contribution from topography (capillary penetration). These two factors interact in a very complex way [54-55]. The grinding and polishing procedure can also yield different opening of the capillary structure of tubules, affecting the degree of capillary penetration [56-58]. After defining the meaning of each detected value, it can be concluded that the high surface tension (72.00°) observed in control group indicated that MilliQ water does not penetrate into the porosity of the surface and shows a high contact angle. Different concentrations of NaOCl showed an increased trend towards wetting as compared to water, possibly through the chemical interaction involving attack to organic tissue. On the other hand, the wettability of CS and Nano-CS was completely controlled by capillary penetration. The surface topography allows the liquid to readily penetrate into the dentin tubules and surface roughness. Nano-CS, because of tiny nano size, has smaller sessile contact angle and better penetration. Nano-chitosan (Nano-CS) appears to be a relatively more effective penetrating root canal irrigant than EDTA, NaOCl and regular CS. This is on the grounds of showing a smaller sessile contact angle, under similar conditions. Even though penetration of Nano-CS falls behind CHX, its superb chelating ability enables it to remove smear layer to a larger extend than all of our other scrutinized irrigants, including CHX. Interestingly, we easily extracted Nano-CS from shrimp shells of Persian Gulf. Other advantages of Nano-CS include its cost effectiveness, antibacterial activity, superb hydrophilicity, biocompatibility, degradability, along with physicochemical and biopharmaceutical properties . Finally, solutions of Nano-CS are suggested as alternative candidates for customarily used root canal irrigants such as commercial sodium hypochlorite which shows some limitations such as toxicity and bad smell, or CHX which is unable to kill all bacteria and cannot remove the smear layer, as well as EDTA which has little or no antibacterial activity. Special thanks to Dr. Reza Mohammadi, Zahra Nasresfahani, Esmaiel Eidi, Marzieh Miranzadeh and Maryam Mirabedini. Schilder H. Cleaning and shaping the root canal. Dent Clin North Am. 1974; 18: 269-96. Pashley EL, Birdsong NL, Bowman K, Pashley DH. Cytotoxic effects of NaOCl on vital tissue. J Endod. 1985; 11(12): 525-8. Cohen S, Burns R. Pathways of the pulp. St. Louis: Mosby-Year Book. Inc; 1994. Sundqvist G. Bacteriological studies of necrotic dental pulps: Department of Oral Microbiology, University of Umeå; 1976. Zehnder M, Kosicki D, Luder H, Sener B, Waltimo T. Tissue-dissolving capacity and antibacterial effect of buffered and unbuffered hypochlorite solutions. Oral Surg Oral Med Oral Pathol Oral Radiol Endod. 2002; 94 (6): 756-62. Beltz RE, Torabinejad M, Pouresmail M. Quantitative Analysis of the Solubilizing Action of MTAD, Sodium Hypochlorite, and EDTA on Bovine Pulp and Dentin. J Endod. 2003; 29 (5): 334-7. Naenni N, Thoma K, Zehnder M. Soft Tissue Dissolution Capacity of Currently Used and Potential Endodontic Irrigants. J Endod. 2004; 30 (11): 785-7. Siqueira JF, Jr., Magalhães KM, Rôças IN. Bacterial Reduction in Infected Root Canals Treated With 2.5% NaOCl as an Irrigant and Calcium Hydroxide/Camphorated Paramonochlorophenol Paste as an Intracanal Dressing. J Endod. 2007; 33 (6): 667-72. Virtej A, MacKenzie CR, Raab WHM, Pfeffer K, Barthel CR. Determination of the Performance of Various Root Canal Disinfection Methods after In Situ Carriage. J Endod. 2007; 33(8):926-9. Clarkson RM, Moule AJ, Podlich HM. The Shelf-Life of Sodium Hypochlorite Irrigating Solutions. Aust Dent J. 2001; 46 (4): 269-76. Pişkin B, Türkün M. Stability of various sodium hypochlorite solutions. J Endod. 1995; 21 (5): 253-5. Hülsmann M, Hahn W. Complications during root canal irrigation–literature review and case reports. Int Endod J. 2000; 33 (3): 186-93. Reeh ES, Messer HH. Long‐term paresthesia following inadvertent forcing of sodium hypochlorite through perforation in maxillary incisor. Dent Traumatol. 1989; 5 (4): 200-3. Lee L, Lan W, Wang G. [A evaluation of chlorhexidine as an endosonic irrigan]. J. Formos. Med. Assoc. 1990; 89 (6): 491-7. Southard SR, Drisko CL, Killoy WJ, Cobb CM, Tira DE. The Effect of 2% Chlorhexidine Digluconate Irrigation on Clinical Parameters and the Level of Bacteroides gingivalis in Periodontal Pockets. J Periodont. 1989; 60 (6): 302-9. Johnson W, Noblett W. Cleaning and shaping in: endodontics: principles and practice. Saunders, Philadelphia, PA; 2009. Estrela C, Silva JA, Alencar AHGd, Leles CR, Decurcio DA. Efficacy of sodium hypochlorite and chlorhexidine against Enterococcus faecalis: a systematic review. J Appl Oral Sci. 2008; 16 (6): 364-8. Shabahang S, Aslanyan J, Torabinejad M. The substitution of chlorhexidine for doxycycline in MTAD: the antibacterial efficacy against a strain of Enterococcus faecalis. J Endod. 2008; 34 (3): 288-90. Torabinejad M, Handysides R, Khademi AA, Bakland LK. Clinical implications of the smear layer in endodontics: a review. Oral Surg Oral Med Oral Pathol Oral Radiol Endod. 2002; 94 (6): 658-66. Çalt S, Serper A. Smear layer removal by EGTA. J Endod. 2000; 26 (8): 459-61. Torabinejad M, Shabahang S, Aprecio RM, Kettering JD. The antimicrobial effect of MTAD: an in vitro investigation. J Endod. 2003; 29 (6): 400-3. Park YJ, Lee YM, Lee JY, Seol YJ, Chung CP, Lee SJ. Controlled release of platelet-derived growth factor-BB from chondroitin sulfate–chitosan sponge for guided bone regeneration. J. Control. Release. 2000; 67 (2): 385-94. Lee Y-M, Park Y-J, Lee S-J, Ku Y, Han S-B, Klokkevold PR, et al. Tissue engineered bone formation using chitosan/tricalcium phosphate sponges. J. Periodontol. 2000; 71 (3): 410-7. Lee YM, Seol YJ, Lim YT, Kim S, Han SB, Rhyu IC, et al. Tissue‐engineered growth of bone by marrow cell transplantation using porous calcium metaphosphate matrices. J Biomed Mater Res. 2001; 54 (2): 216-23. VandeVord PJ, Matthew HW, DeSilva SP, Mayton L, Wu B, Wooley PH. Evaluation of the biocompatibility of a chitosan scaffold in mice. J Biomed Mater Res. 2002; 59 (3): 585-90. Seol Y-J, Lee J-Y, Park Y-J, Lee Y-M, Rhyu I-C, Lee S-J, et al. Chitosan sponges as tissue engineering scaffolds for bone formation. Biotechnol. Lett. 2004; 26 (13): 1037-41. Shin S-Y, Park H-N, Kim K-H, Lee M-H, Choi YS, Park Y-J, et al. Biological evaluation of chitosan nanofiber membrane for guided bone regeneration. J. Periodontol. 2005; 76 (10): 1778-84. Farid MS, Shariati A, Badakhshan A, Anvaripour B. Using nano-chitosan for harvesting microalga Nannochloropsis sp. Bioresour. Technol. 2013; 131: 555-9. Chung Y-C, Su Y-P, Chen C-C, Jia G, Wang H-l, Wu JG, et al. Relationship between antibacterial activity of chitosan and surface characteristics of cell wall. Acta Pharmacol. Sin. 2004; 25: 932-6. Friedman M, Juneja VK. Review of antimicrobial and antioxidative activities of chitosans in food. J. Food Prot. 2010; 73 (9): 1737-61. Yang Y-J, Chuang C-C, Yang H-B, Lu C-C, Sheu B-S. Lactobacillus acidophilus ameliorates H. pylori-induced gastric inflammation by inactivating the Smad7 and NFκB pathways. BMC Microbiol. 2012; 12 (1): 1. Alt V, Bechert T, Steinrücke P, Wagener M, Seidel P, Dingeldein E, et al. An in vitro assessment of the antibacterial properties and cytotoxicity of nanoparticulate silver bone cement. Biomaterials. 2004; 25 (18): 4383-91. Ahn S, Vang M-S, Yang H-S, Park S-W, Lim H-P. Histologic evaluation and removal torque analysis of nano-and microtreated titanium implants in the dogs. J Adv Prosthodont. 2009; 1 (2): 75-84. Poosti M, Ramazanzadeh B, Zebarjad M, Javadzadeh P, Naderinasab M, Shakeri MT. Shear bond strength and antibacterial effects of orthodontic composite containing TiO2 nanoparticles. Eur J Orthodont. 2013; 35 (5): 676-9. Huang K-S, Sheu Y-R, Chao I-C. Preparation and properties of nanochitosan. Polym Plast Technol Eng. 2009; 48 (12): 1239-43. Sivakami M, Gomathi T, Venkatesan J, Jeong H-S, Kim S-K, Sudha P. Preparation and characterization of nano chitosan for treatment wastewaters. Int. J. Biol. Macromolec. 2013; 57: 204-12. Mallya L, Acharya S, Shenoy N, Kamath K. The Pathway of Endo Perio Relationship. GJRA. 2014; 3 (5): 107-9. Steinbuchel A, Kurita K. Biodegradable Polymers and MacromoleculesChemistry and application of chitin and chitosan. Polym. Degrad. Stab. 1998; 59 (1): 117-20. Şen BH, Ertürk Ö, Pişkin B. The effect of different concentrations of EDTA on instrumented root canal walls. Oral Surg Oral Med Oral Pathol Oral Radiol Endod. 2009; 108 (4): 622-7. Serper A, Çalt S, Dogan AL, Guc D, Özçgelik B, Kuraner T. Comparison of the cytotoxic effects and smear layer removing capacity of oxidativepotential water, NaOCl and EDTA. J Oral Sci. 2001; 43 (4): 233-8. Spanó JCE, Silva RG, Guedes DFC, Sousa-Neto MD, Estrela C, Pécora JD. Atomic absorption spectrometry and scanning electron microscopy evaluation of concentration of calcium ions and smear layer removal with root canal chelators. J Endod. 2009; 35 (5): 727-30. Haznedaroğlu F. Efficacy of various concentrations of citric acid at different pH values for smear layer removal. Oral Surg Oral Med Oral Pathol Oral Radiol Endod. 2003; 96 (3): 340-4. Machado‐Silveiro L, González‐López S, González‐Rodríguez M. Decalcification of root canal dentine by citric acid, EDTA and sodium citrate. Int Endod J. 2004; 37 (6): 365-9. Akıncıbay H, Şenel S, Yetkin Ay Z. Application of chitosan gel in the treatment of chronic periodontitis. J. Biomed. Mater. Res. Part B Appl. Biomater. 2007; 80 (2): 290-6. Doyle RJ, Rosenberg M. Microbial cell surface hydrophobicity: American Society for Microbiology; 1990. Donskoi A, Shashkina M, Zaikov G. Contact angle wettability and adhesion, 3. Philadelphia: Coronet Books; 2003. Cameron JA. The effect of a fluorocarbon surfactant on the surface tension of the endodontic irrigant, sodium hypochlorite. Aust Dent J. 1986; 31 (5): 364-8. Glantz P, Hansson L. Wetting of dentine by some root canal medicaments. Odontol Revy. 1972; 23 (2): 205. Marshall GW, Marshall SJ, Kinney JH, Balooch M. The dentin substrate: structure and properties related to bonding. J Dent. 1997; 25 (6): 441-58. Garberoglio R, Brännström M. Scanning electron microscopic investigation of human dentinal tubules. Arch. Oral Biol. 1976; 21 (6): 355-62. Ciucchi B, Bouillaguet S, Holz J, Pashley D. Dentinal fluid dynamics in human teeth, in vivo. J Endod. 1995; 21 (4): 191-4. Eick JD, Wilko RA, Anderson CH, Sorensen SE. Scanning electron microscopy of cut tooth surfaces and identification of debris by use of the electron microprobe. J. Dent. Res. 1970; 49 (6). Wege HA, Aguilar JA, Rodríguez-Valverde MÁ, Toledano M, Osorio R, Cabrerizo-Vílchez MÁ. Dynamic contact angle and spreading rate measurements for the characterization of the effect of dentin surface treatments. J. Colloid Interface Sci. 2003; 263 (1): 162-9. Vogler EA. On the origins of water wetting terminology. John Wiley & Sons Ltd., West Sussex, UK; 2001. p. 149-82. Johnson RE, Dettre RH. Contact Angle Hysteresis. III. Study of an Idealized Heterogeneous Surface. J. Phys. Chem. 1964; 68 (7): 1744-50. Dettre RH, Johnson RE. Contact Angle Hysteresis. IV. Contact Angle Measurements on Heterogeneous Surfaces1. J. Phys. Chem. 1965; 69 (5): 1507-15. Wu S. Polymer interface and adhesion: M. Dekker; 1982. Silva PV, Guedes DFC, Pécora JD, Cruz-Filho AMd. Time-dependent effects of chitosan on dentin structures. Braz. Dent. J. 2012; 23 (4): 357-61. Cruz-Romero MC, Murphy T, Morris M, Cummins E, Kerry JP. Antimicrobial activity of chitosan, organic acids and nano-sized solubilisates for potential use in smart antimicrobially-active packaging for potential food applications. Food Control. 2013; 34 (2): 393-7.